Auction Sniper is an eBay sniper that automates the process of placing your eBay bid in the closing seconds of any eBay bidding auction, dramatically increasing your chance of winning. We keep it simple: you tell us what you want to win, and we snipe eBay for you. 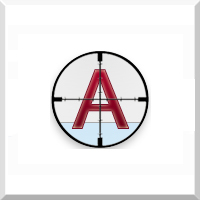 Best of all, Auction Sniper is free to try. After winning your first auction with our help, you'll never eBay bid the same way again. Auction Sniper is an eBay sniper that automates the process of placing your eBay bid in the closing seconds of any eBay bidding auction, dramatically increasing your chance of winning.